Marvel is really looking forward to its Poe Dameron comic. I mean, it’s understandable—mainly because we’re also incredibly excited for Marvel’s new ongoing Star Wars series—but man, Marvel’s going all out. As in, they’re taking over an entire day to celebrate all things Poe. The launch of Marvel Comics’ Star Wars series had its own launch party of sorts, with comic shops “celebrating” the first issue, which had approximately five gazillion variant covers. 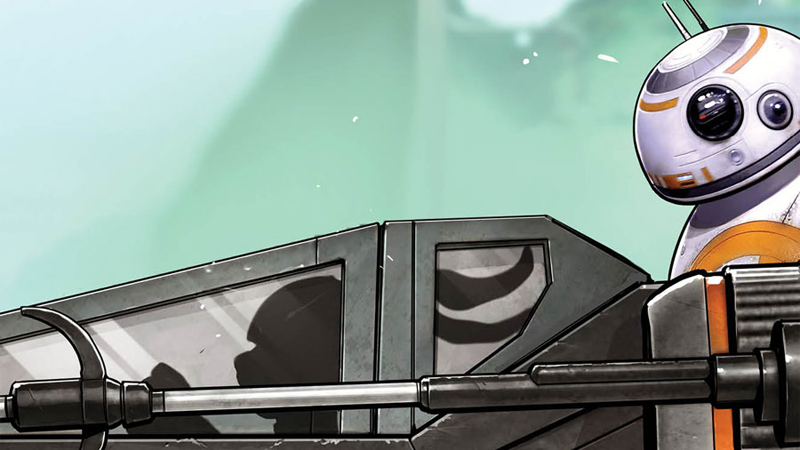 Still, it’s a bit strange that Charles Soule and Phil Noto’s new Poe Dameron series is getting a similar treatment. Maybe the allure of Oscar Isaac’s handsome ace pilot has us all in a bit of a Poe stupor. Marvel announced today aside from myriad variant covers for the series’ first issue (nine so far! ), they’ll also be working with comic book retailers to provide free goodies to fans who show up on April 6 to partake in Poe-based goodness, including pin badges featuring artwork of Poe and BB-8, lithographic prints of some of the variant covers, and more. Lets just hope the comic lives up to the hype.